In today’s world, the internet is one of the most important forms of media. While a lot of the content that gets consumed online is done via desktop computers, people are increasingly using their smart phones and mobile devices to search for information online and connect with people. The share of internet usage on these devices is growing every day. In 2014, mobile browsing overtook desktop browsing, making it vital for businesses to look at ways to connect with their target audiences efficiently and effectively on these devices. If you don’t want to lose any potential clients, then you need a great looking website that is also optimized for mobile phones and tablets. The problem with many websites is that the user experience on mobile devices isn’t good. People struggle to find the information they need and they need to click around and scroll endlessly to find the links they are looking for. The vast majority of businesses still aren’t creating mobile friendly websites that are responsive, adaptive and intuitive for the end user. 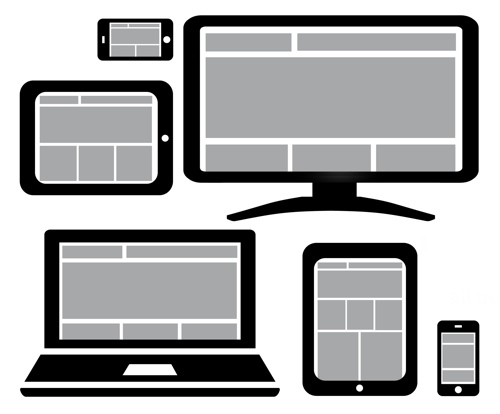 Responsive websites respond to the screen size of the device that you are using. Instead of creating different websites for different devices, your responsive website rearranges the elements to fit the screen so that your site is easy to navigate and use on all devices. When you are able to provide a good user experience, you will have more happy customers. For more information about how responsive design solutions can help your business, contact WSI today.